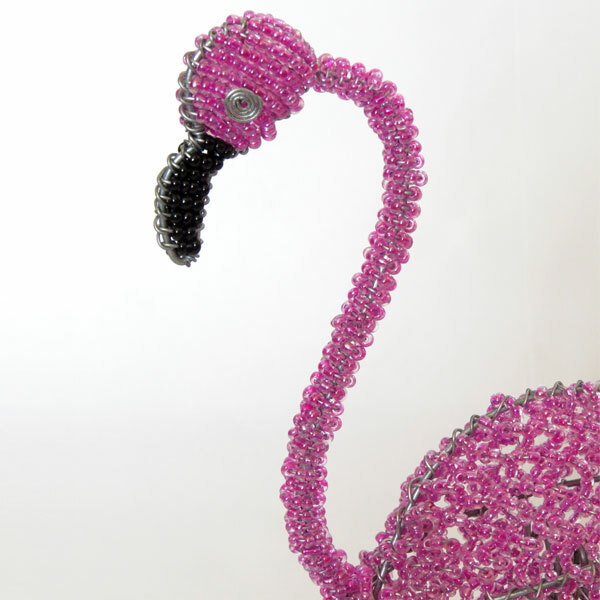 Small beaded flamingo, height 23cm. 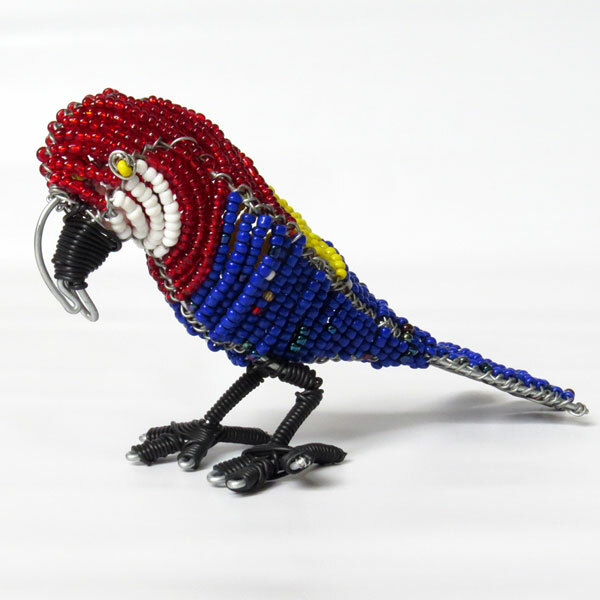 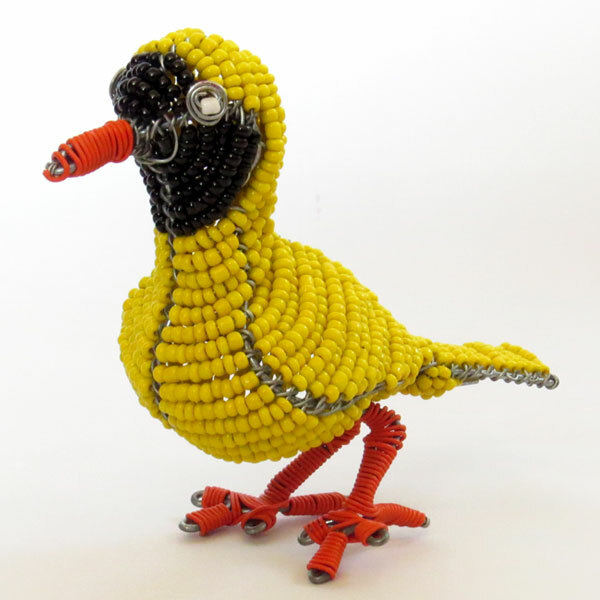 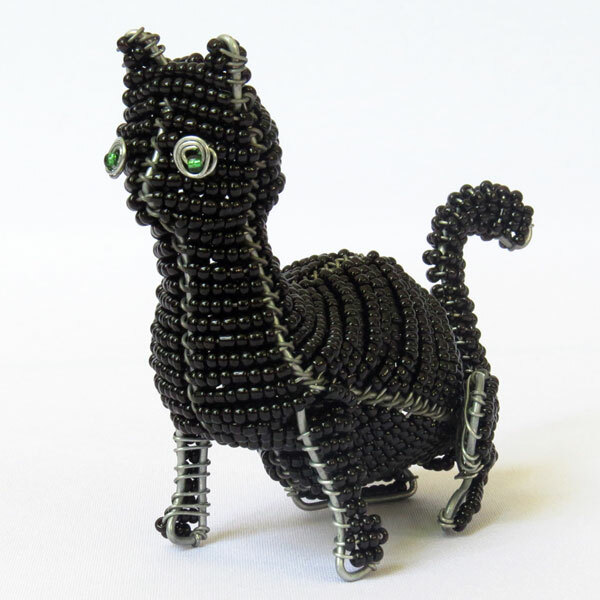 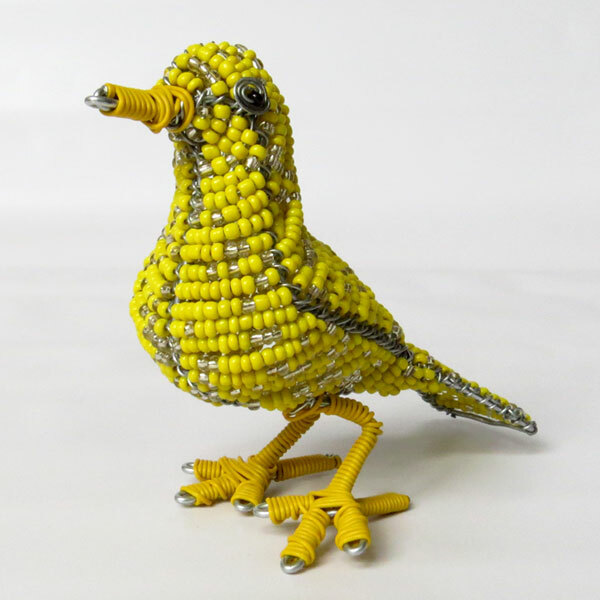 Beaded canary bird, height 10cm. 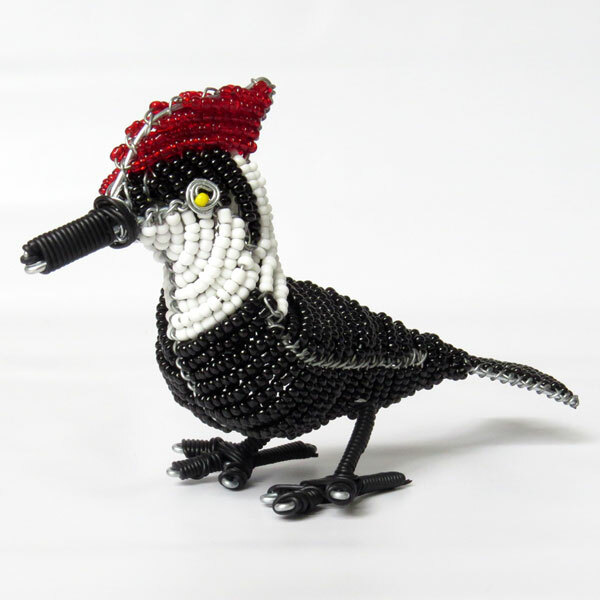 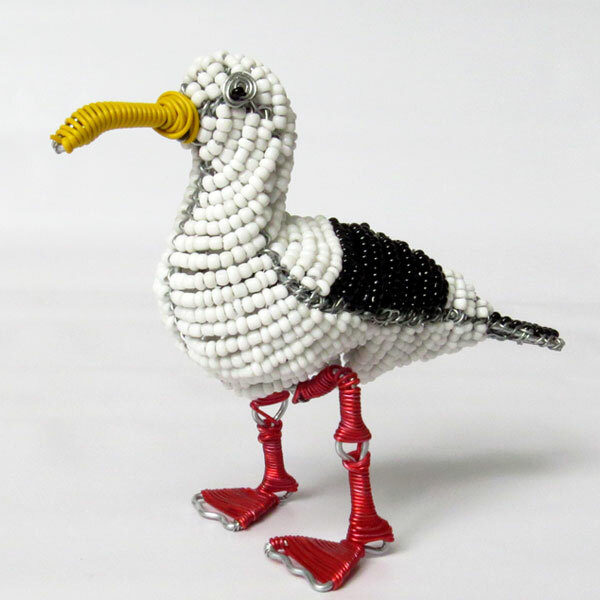 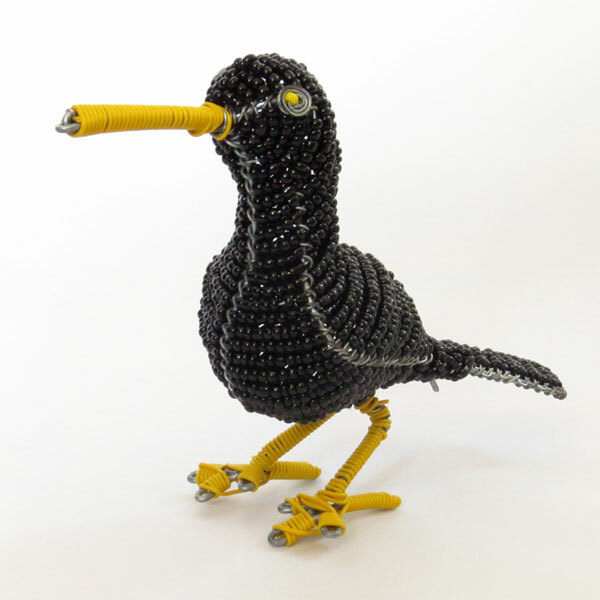 Small beaded oystercatcher bird, height 10cm. 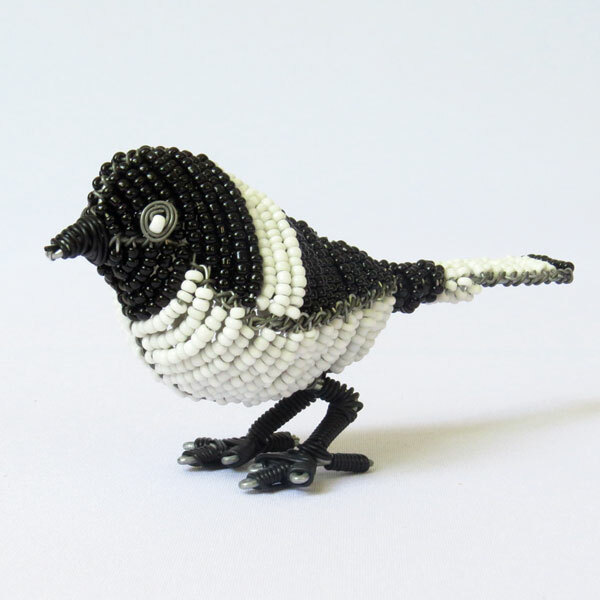 Small beaded village weaver, height 10cm. 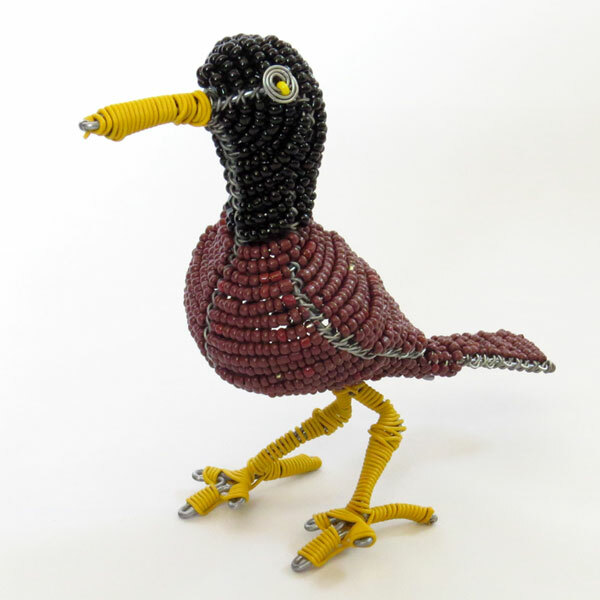 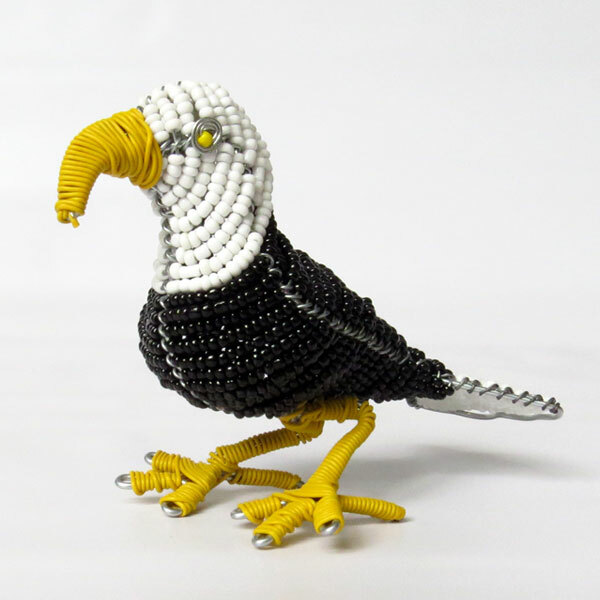 Small beaded myna bird, height 10cm.